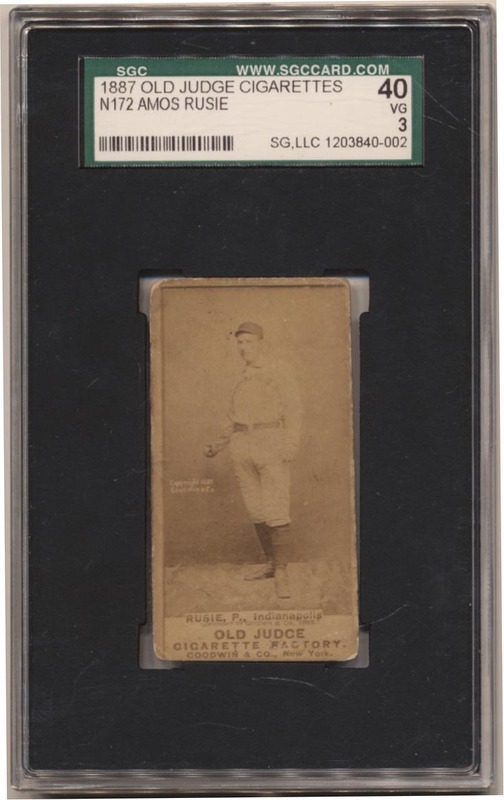 Key Old Judge HOFer, this is a very desirable and scarce card. The image is not bad at all, the front has corner wear but has a pleasing overall feel. The back has a few minute nicks, no paper loss, certainly nice overall. Rusie went 245-174 in his HOF career.